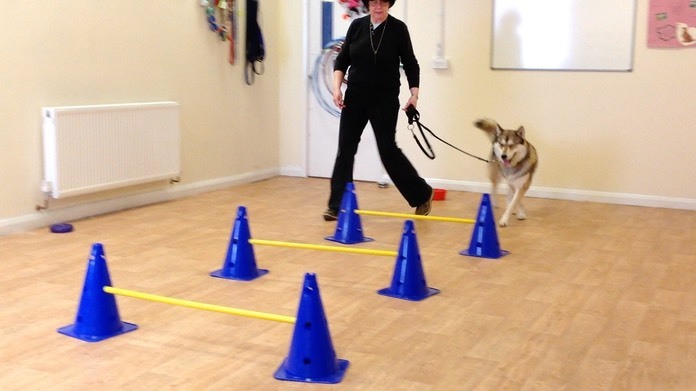 Initial training for dogs over 20 weeks is offered on a one to one basis. At this stage most clients have specific training issues that they wish to address so it ensures that direct attention is given to meet the specific needs of each family. 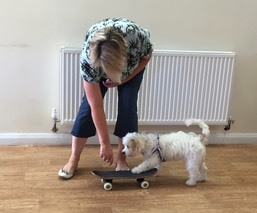 Control positions of sit, down & stand, Appropriate greeting, Appropriate play, Release cue, Recall, Grooming and handling, Settle down, Loose lead walking and more. 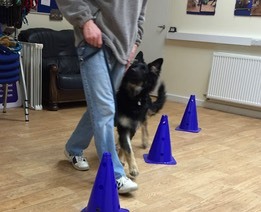 Subsequent inclusion in a small group class is optional but gives the opportunity to consolidate these skills over six weeks and work towards the Paws’n’Learn Level 1 (Bronze) Award. However, if your dog has been given Kennel Cough vaccine - 7 days must elapse without any snuffling, sneezing or coughing before they can attend Paws’n’Learn Studio for any reason whatsoever. The 7 day rule applies if your dog has been in contact with another dog who has kennel cough.